The fairly recent and highly publicized return of Odd Future's youngest member Earl Sweatshirt whipped the teenage rapper's fans into a frenzy and sent the blogosphere ablaze with questions regarding his exile and what exactly prompted his leave of absence. Since his return, Earl hasn't wasted time settling in; appearing on OF's latest release The OF Tape Vol. 2, acquiring his own imprint Tan Cressida and announcing he's begun work on his solo album and a collaborative project with Tyler, The Creator. 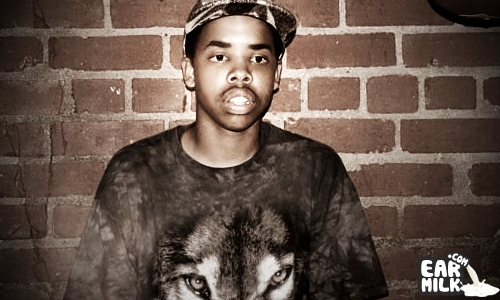 On Friday, a video titled "Earl Sweatshirt in Samoa" surfaced on Earl's website. The three-minute clip offers a brief glimpse into Earl's stay in Samoa's Coral Reef Academy. The clip features footage taken of the young rapper during his final days at the academy. According to the video's description, Earl invited Leila Steinberg (renowned writer and Tupac's first manager) and a group of artists to come pick him up in Samoa. Check out the clip and The New York Times' recent profile piece on the Earl Sweatshirt.